The Top 7 Business VoIP Providers in Maryland: Whose Service is Best? Business-class voice-over-IP (VOIP) services are revolutionizing communications. As organizations move their communication tools away from traditional phone service providers and premise-based PBX to the cloud, they're unlocking lower overhead costs, spending less on maintenance, and getting new features that can scale to meet explosive business growth. For one global organization, Dell, a move to cloud VoIP saved $39.5 million and allowed their employees to begin regularly telecommuting via mobility features. For Mid-Atlantic organizations and companies in Maryland, there are advantages to choosing a local company for your VoIP needs. Working with a locally-owned and operated organization can provide access to consulting, support, and maintenance services via local experts and techs, as opposed to third-party contractors hired by a national provider. Fortunately, there are several high-quality options based in Rock Springs, Columbia, Springfield, and other areas of Maryland. Not all VoIP providers are created equal. The organizations profiled here don't offer the same types of specializations; some focus on phone service only for smaller businesses, while others are in the managed IT vertical. Founded in 1985, Chesapeake Telephone Systems provides Mitel-based VoIP, cloud communication tools, wireless data, and related services to companies in Maryland and the Mid-Atlantic. Network services include local, LD, and broadband internet connectivity. One review by a Chesapeake client in the finance industry complimented the company stating: “They get the job done right - every time." Swift is a "managed IT" partner who offers cloud, data, and business-classic VoIP in Maryland. With VoIP services run on 3CX phone systems by windows, their specialization is in managed cloud VoIP for organizations. Perhaps most uniquely, Swift offers four hours of on-site support for their managed IT customers each week. One online client review described their staff as, "Very responsive." Based in Columbia, Maryland, ACC Telecom offers support for both cloud and on-premise VoIP systems, data, video surveillance, and select infrastructure services to Mid-Atlantic customers. They offer one of the greatest ranges of phone system options to customers, working with Toshiba, Cisco, Comdial, and Avaya, as well as a unique specialty in video-based surveillance. Positive customer reviews report that on-site visits for installations are professional and go according to plan. Based in Owing Mills, Global Telecom (GTB) does business phones, limited data services, IT security, and managed IT services for Maryland and D.C. businesses. When it comes to voice, their specialization is turn-key solutions for small and mid-sized organizations who need high-quality voice without extensive cloud application integration. GTB voice services are delivered over the Flex-Point IP-PBX phone system. One happy GTB customer, in the trucking industry, reported being happy with their phone system and the "personal care" they received. From Baltimore, Maryland, ABS offers "local and national" phone services. Positioned as a full-service phone company for businesses, ABS’s specializations include phone system relocations, cutovers, repairs, premise-based PBX, traditional telephony, and VoIP. As a certified Avaya partner, they have lots of knowledge around both modern and legacy Avaya systems. Your organization may choose ABS for some unique VoIP use cases, including needing repairs on older, and on-premise phone systems. One client in the home fixtures industry describes ABS as "very reliable." Based in Springfield, Virginia, TCI Comm is a Mid-Atlantic-based provider of managed IT and managed services for organizations including business-class VoIP. Working with Mitel, Cisco, and Valcom solutions, TCI Comm specializes in designing both cloud and premise-based VoIP options for organizations. Clients may select this organization if they need full support for IT, or essentially fully outsourced IT services. At the time of writing, no customer reviews were available via the TCI website or third-party review sites. We had to include ourselves in the list. All the other companies are reliable providers, and will no doubt provide you with what you need. However, we're confident if you give us a chance to showcase our services, products, and unrelenting desire to provide the best customer service in the industry - we'll win your business. With a primary Maryland office in Silver Spring, we are a leading provider of business-class VoIP and true unified communications as a service (UCaaS) for Mid-Atlantic organizations of all sizes. As the only Maryland business that offers our own fiber-optic Internet connectivity, Atlantech customers have the unique ability to centralize their voice and data to the same provider. This benefit offers remarkable advantages for better voice quality, cost savings, and faster troubleshooting. Atlantech customers can also take advantage of data center and cloud services with several Maryland-based data centers, leading business continuity planning, and direct connection to the cloud. We are a ShoreTel Champion Partner for premise-based PBX system. Our Hosted PBX service is based on a highly-redundant Broadsoft platform. Online reviews of Atlantech compliment their willingness to "be proactive" and provide immediate resolution to unique requests - even on weekends and holidays. 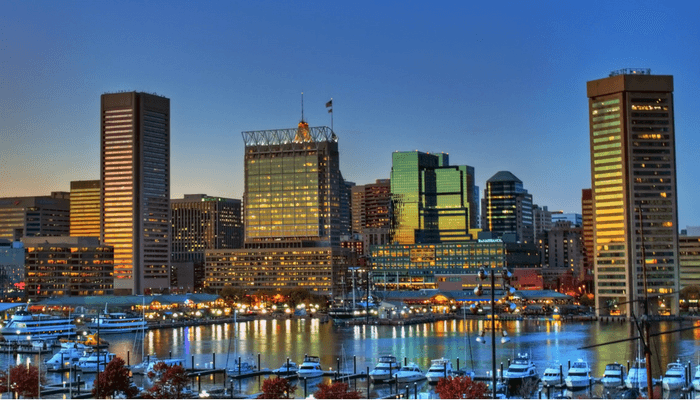 Who is the Best Maryland VoIP Vendor? If you were looking for a simple, definitive answer to the questions of who the best business class VoIP provider in Maryland is, you may be disappointed. "The best" is subjective. The right local option for a federal contractor who needs compliant VoIP, fiber, and data might not be the same Maryland company as the right choice for a small transportation company who wants repairs to their existing on-site PBX equipment. "The best" depends on your budget, needs, industry, and vision for growth. 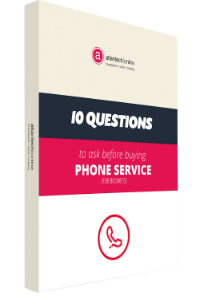 As a champion of locally-owned and operated industry, Atlantech channels our decades of telecommunications knowledge into helping local businesses understand who the right business-class VoIP vendor is for their needs - whether that's our service, or another one of the companies listed here. Our customer support representatives are experts at listening and understanding your needs, and can provide a unique, no-pressure approach to helping you simplify the decision-making process to move your communications to the cloud. For expert recommendations on which Maryland VoIP provider is best for you, click here to contact us today.